Officially Rolex watches was found in 1919 in Switzerland however its two founders Hans Wilsdorf and his brother-in-law, Alfred Davis had previously founded another company in England in 1905 before moving and starting Rolex. One of the most famous achievements by Rolex was the creation of the first waterproof wristwatch known as the oyster whose name today is still synonymous with the Rolex brand. Another major innovation by the brand was the creation of the first self winding mechanism which today is part of most modern wristwatches. Rolex watches have been a part of many firsts in world events, the setting of land speed records, the breaking of the sound barrier, to name a couple. Rolex became the official timepiece of Pan Am airways in the 1950s along with many other airlines. 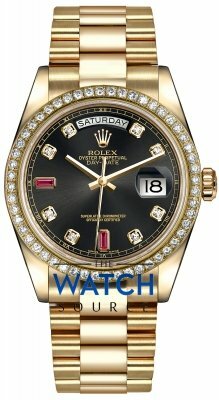 Records for Rolex watches continued throughout the years, they built the first watch to successfully withstand magnetic fields up to 1,000 gauss and perhaps their greatest triumph was producing an experimental watch for a dive at a depth of nearly 11,000 metres to which the watch successfully survived without damage. 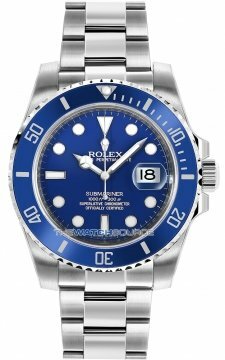 This gained Rolex watches a strong and enduring reputation and partnership with many divers and diving organisations who recognised Rolex watches as the absolute best in their field for deep sea diving. 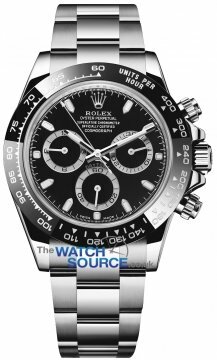 A name that immediately is recognisable as Rolex is the Cosmograph Daytona, a model which gained its popularity with endurance racing drivers and is a model which today is highly sought after. To further enhance its ties with motorsport Rolex watches are the official timekeeper of Formula 1. It also produces a line of watches especially tailored for sailing, the Yacht Master. Today its famous collections include the Cosmograph Daytona, Date just, Deepsea, Explorer, GMT II, Milgauss, Oyster Perpetual and Yacht Master.